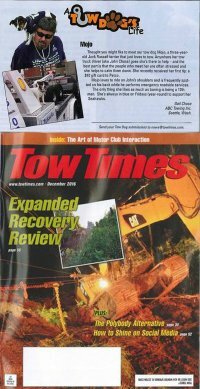 Since 1982, ABC Towing has been a family-owned and operated business. We have dedicated employees that are highly trained and well qualified to provide the towing services you need. Need a tow truck? We have you covered! Our tow trucks have towed many vehicles that were involved in accidents or required winching when a vehicle ended up off the road. But, we are also available for a variety of other towing services. 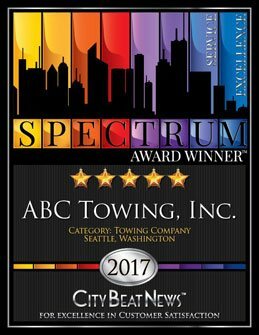 Fast, Friendly and Knowledgeable ABC Towing has been serving the needs of Seattle and the surrounding area for more than 35 years. 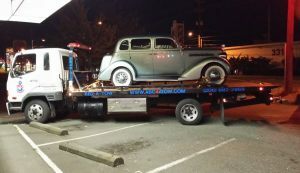 Locally owned and Family operated we provide the best towing experience available. 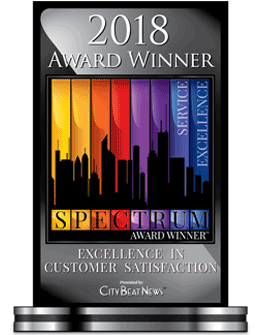 We take care of our customers because we care about our customers. Our towing service is fast our equipment is well maintained and our employees are dependable. 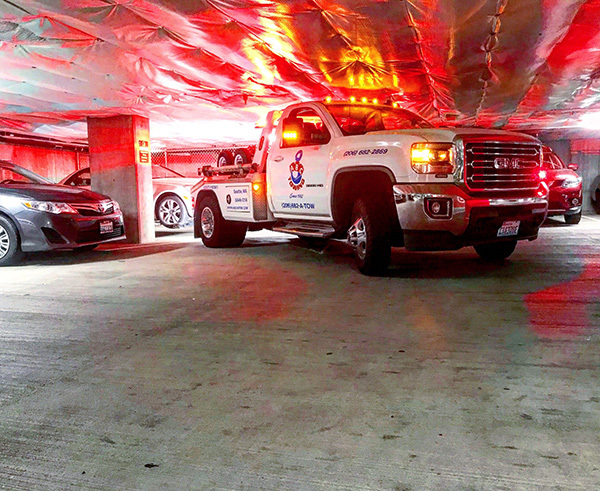 We are fully licensed, insured and annually inspected by the Washington State Patrol. We provide you with experienced drivers that can perform emergency roadside services to help you get back on the road quickly. 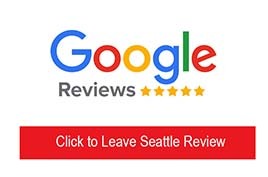 We can respond quickly to Seattle, Tukwila, Renton, West Seattle, Burien, Sea Tac, Capitol Hill, Columbia City, Downtown Seattle, Queen Anne, Seattle Center, Lake Union, University District call us to find out how fast we can respond. Our drivers are trained to perform Lockouts, Tire Changes, Winch outs, Fuel Deliveries and Jump Starts. Stuck in a ditch? Call us we can help. 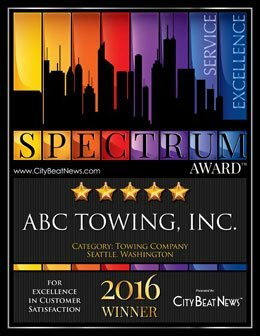 ABC Towing is Seattle’s most trusted towing Service. Our towing fleet can meet any of your towing needs. 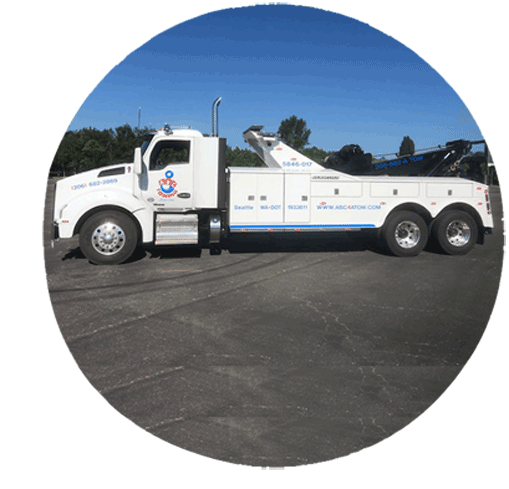 We have 12 fully equipped tow trucks in our towing fleet. A tow operator will arrive having everything they need to complete your tow. Our tow trucks can get through most weather. Towing equipment is maintained, so towing goes smoothly. Your tows will be done quickly with no equipment failures or hassles. 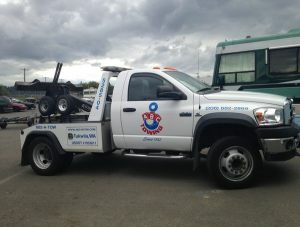 Our towing fleet is operated by licensed and trained tow operators. Contact us for any towing you need done. 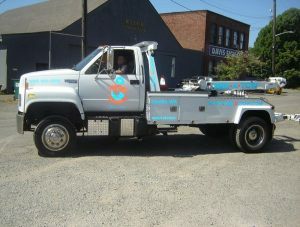 We have a full fleet of tow trucks that can handle any need. We can handle all weather - Rain, Sun or Snow. Our Equipment is well maintained so towing goes smoothly. Our towing fleet is licensed insured and inspected. Our drivers are trained and certified. ABC Towing is available 24 hours a day, 7 days a week, 365 days a year. Accident towing, emergency roadside assistance, Impounds, Parking problems? We can help.